Find the project you want to configure, hover over it and click the settings button. This will call up the magical powers of the project settings dialog. Alternatively, you can also go to the project page from anywhere in Noko and click the settings button directly on the project's page. 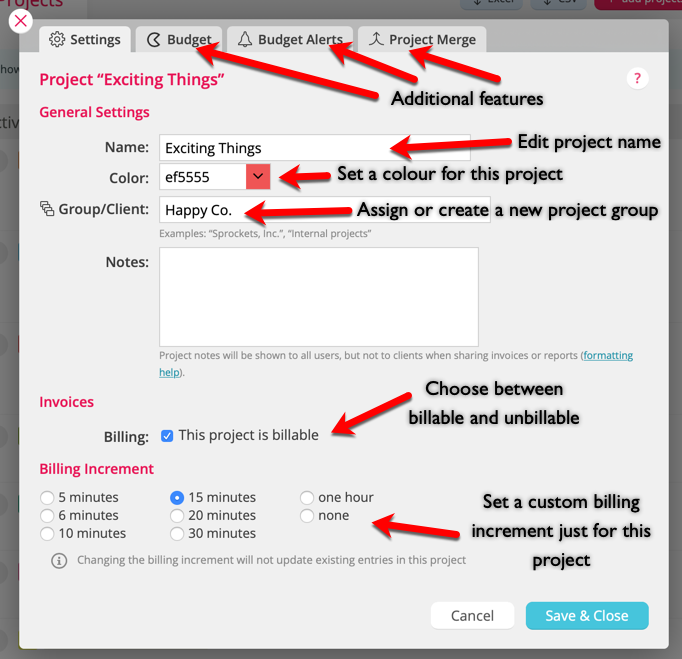 Additionally, you can access the Budget, Budget Alerts and the Project Merge tabs.